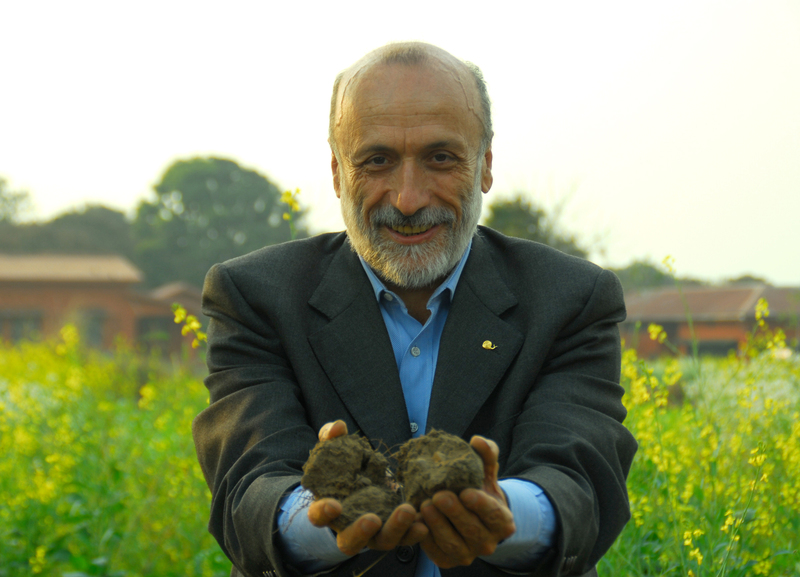 Slow food founder Carlo Petrini: healthy food = healthy dirt. WXXI invites you to its second Community Cinema, a free monthly screening series featuring films from the Emmy Award-winning PBS series Independent Lens. On Tuesday, April 6 at 7 p.m. WXXI will present its second of four Community Cinema screenings, Dirt! The Movie a film by Bill Benenson and Gene Rosow. Inspired by William Bryant Logan’s acclaimed book Dirt: The Ecstatic Skin of the Earth, find out how industrial farming, mining and urban development have led us toward cataclysmic droughts, starvation, floods and climate change. Dirt is a part of everything we eat, drink and breathe. Which is why we should stop treating it like, well…dirt. The screening was held at WXXI's Studios and was followed by a panel discussion. • Jan McDonald, Director of Rochester Roots, Inc.
• Rosita Caridi-Miller, Cooking Instructor, Cornell Cooperative Extension. Rosita conducts cooking classes that focus on local food and healthy choices. The television broadcast of Dirt! The Movie aired Tuesday, April 20 at 10 p.m. on WXXI-TV (DT21.1/cable 1011 & 11). Submitted by Anonymous (not verified) on Wed, 04/07/2010 - 8:58am. If you would like to hear more on the GMO debate I would suggest viewing The Future Of Food. If you google that you can view it online. Valuable information is demonstrared in this video. At the very least we should have consumer labeling in the USA so people have a choice.